Lighting Showroom Trussville: So, Which LED Bulb Should I Get, Anyway? So, Which LED Bulb Should I Get, Anyway? Remember the “good ol’ days,” when to replace a light bulb, you just drove down to the grocery store? The only question you had to answer is what wattage did you want- 60, 75, or 100 watt? As you know, things have changed! 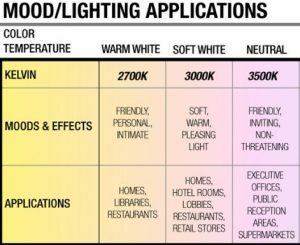 Here are some tips from your favorite lighting showroom in Trussville to help you decide which LED bulb you need. There are 5 factors to consider- and they aren’t as difficult as they may seem at first! First, you need to know the type of base that your fixture needs. Is it a standard base, a candelabra base, or bi-pin? There are a myriad of options, but for our conversation today, we will be discussing standard-based bulbs, though this information applies to the others as well. You may have seen the term “Kelvin Temperature” before on light bulb labels. So what is it? Ultimately, it is a measure of the “whiteness” of the bulb’s light. 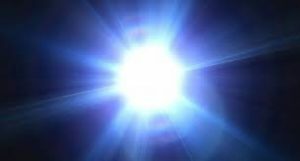 It is important to remember that this has nothing to do with the heat output or lumen output of the bulb. ommonly found in color temperatures on the Kelvin scale of 2700K (warm white), 3000K (soft white) and 3500K (natural white). In our experience, most homeowners prefer to use either 2700K or 3000K for most applications. This is another term you may have seen before. This is a measure of how well a bulb accurately reflects the color of objects that it illuminates. This scale runs from 1-100, with 100 being a 100% true depiction of the actual color of an object under daylight conditions. Typical LEDs have 80+ CRI, while some LEDs have achieved up to 98 CRI. Higher CRI is important in certain applications, like in taskwork areas, where makeup is applied, and in walk-in closets, where clothes are chosen. Old-school Incandescent bulbs correlated wattage with brightness- but this is no longer the case! 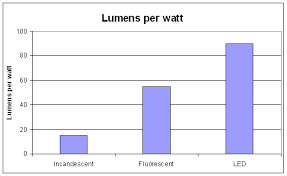 Lumens is actually the measure of the amount of light that a bulb gives off. 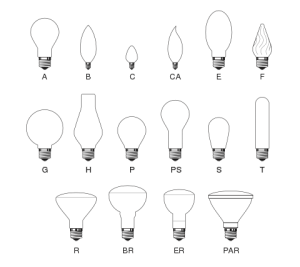 Many times, you will see the label on a bulb list the “wattage equivalent” to make comparison easier. A 130 volt, 60 watt incandescent bulb traditionally emits 500-600 lumens. For an LED bulb to emit 800 lumens, it takes only 6-10 watts! This brings us to the next major advantages of LED bulbs- energy cost savings and increased light per watt. As we mentioned before, to produce the same amount of light with an LED bulb as an incandescent bulb, you can use up to 90% less energy. PLUS, that means less heat, too! If you have a fixture that is rated for 60 watt incandescent bulbs, you can actually use an LED bulb with double or even triple the lumen output(brightness) for a fraction of the energy cost. Lighting Concepts in Trussville, Alabama has a wide selection of LED bulbs, and the expert knowledge to make the process of buying the right bulb super easy! We will stop at nothing to make sure that you are thrilled with your experience with us. Give us a call today at 205-655-7285, or come by our showroom at 570 Simmons Dr., Trussville, AL 35173, and we will take good care of you!